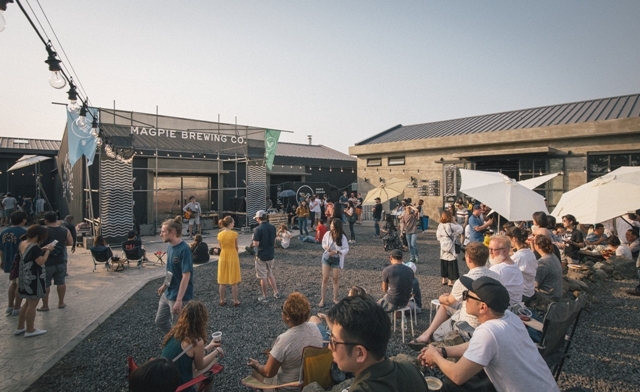 It's been over a year since the Magpie Brewery opened on JejuWe spoke to co-owner Erik Moynihan and head brewer Mike Romeo about their time on Jeju. ▲ Photo courtesy Magpie Brewing Co.
Just over one year ago, Magpie opened its brewery in the Hoechon Dong area of Jeju Island. This was the natural next step for a company that was then in its fifth year of operation. It gave them the freedom to brew exactly what, and as much as, they wanted. Not soon after the opening of the brewery, Mike Romeo joined the team as the head brewer. “There were a few things that caught my attention,” explained Mike, when asked about why he wanted to work at Magpie. “From everything I was able to find, Magpie was focused on doing things the right way. They focused on making quality beer and not just doing the same thing everyone else is doing." And what success this strategy has led to. 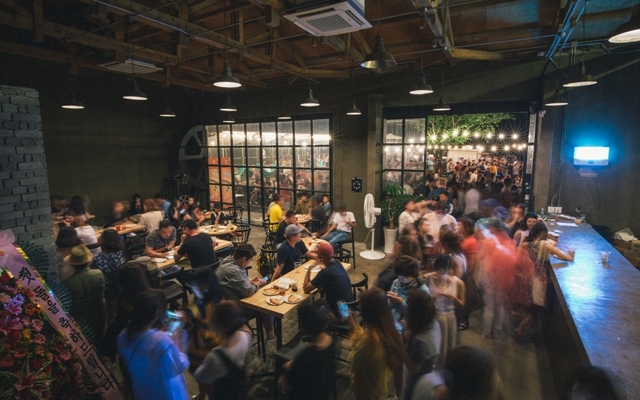 In the year since opening the brewery, they have added an extra line of fermenters (with plans for more soon), essentially allowing them to double the amount of beer they are able to produce and send to locations throughout Korea. For Mike, who has spent time working at Left Hand Brewing in Colorado as well as another island-based brewing company called Fanø Bryghus in Denmark, the advantages of being based on Jeju are many. This spirit of experimentation has lead to some great beers being produced by the team using both ingredients from Jeju and throughout Korea. Mike points to the beer they recently made for their one year anniversary, a raspberry Berliner weisse, as one that particularly stands out. However, Mike was keen to ensure that they are doing things the right way, not just adding ingredients for the sake of it. And as for this process? After choosing an ingredient they want to use, Mike and Erik explained that they will then make an extract of the flavor, before adding it to beers to see if anything works. They then make small batches for experimentation before finally committing to the final product. The amount of time this takes varies depending on the beer. It is this attitude of thinking locally that perhaps explains why they have been embraced by the local community so much. The area the brewery is based in is a tiny rural village about 20 minutes outside of Jeju City. This is quite a move away from the crowds of Seoul that they were used to and the possibility of a culture clash was surely high. However, Erik explains that since they arrived the villagers have been nothing but welcoming and have even taken to the beer. It isn’t just the older residents of Hoechon Dong that have taken to the beer though. 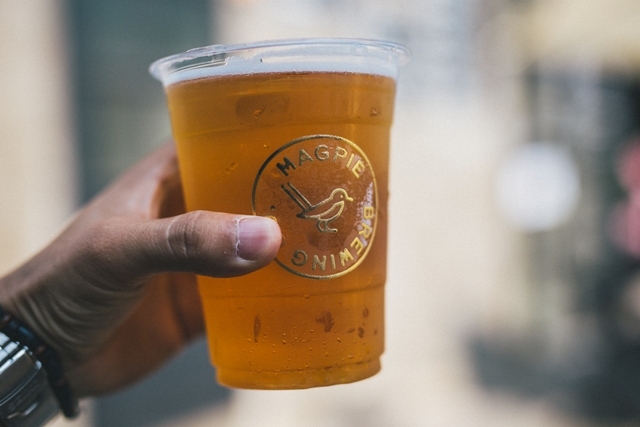 Magpie Beers are now available in around 30/40 restaurants, bars, and cafes throughout Jeju and a significantly higher number of places on mainland Korea. 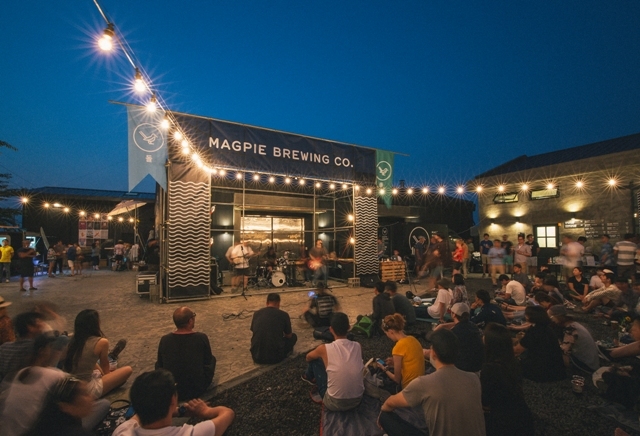 However, while more Magpie beer is sent to Seoul than served on Jeju, the branch of Magpie in Tapdong, Jeju City, is set to start selling more beer than their Itaewon location. And what about the selection of beers available on Jeju in general? As a former resident of Colorado, a state with 200 plus breweries, Mike is used to having a pretty big selection. However, he thinks that things are certainly looking positive for both Jeju and Korea. With these changes, plus the fact that craft beer is expected to increase its share of the Korean beer market in the next few years, Magpie are keen to continue making further plans. They point to potential new locations, upcoming collaborations, as well as increasing the amount of beer produced. However, most exciting for beer fans are their plans for future beers. Mike explained that fans of German styles are in for a treat this fall. Everything is certainly pointing towards positive times for beer fans both on Jeju and throughout Korea.